Home Gaming Birds of Prey Movie Explained: What Is DC’s Suicide Squad Spin-Off? Birds of Prey Movie Explained: What Is DC’s Suicide Squad Spin-Off? DC’s most dangerous heroines unite. The DC Extended Universe is expanding in a number of new directions in the years ahead, including a Birds of Prey movie that will prominently feature Margot Robbie’s Harley Quinn. The current plan is for this film to precede Suicide Squad 2, and while this all-female team of heroes didn’t fare so well in their previous live-action incarnation, the hope is that DC can do better the second time around. To help get you primed for this upcoming DCEU release, here’s everything you need to know about the Birds of Prey, their roster and the team’s connection to Harley Quinn. Gotham City is a big place, and even Batman and Robin are usually hard-pressed to handle the many villains running amok in their city. That’s where the Birds of Prey come in. This superhero team is notable for featuring an almost entirely female roster, one usually anchored by the core trinity of Batgirl/Oracle, Black Canary and Huntress. Together, they battle the villains and challenges too great for any lone heroine to overcome. And as the team’s ranks have grown over the years, they’ve taken a more active role in protecting the wider world, not just Gotham City. The Birds of prey is also notable for including some of the noblest heroines in the DCU as well as less morally upright characters like Catwoman and Poison Ivy. The constant clash between pragmatism and idealism is one of the team’s defining characteristics. 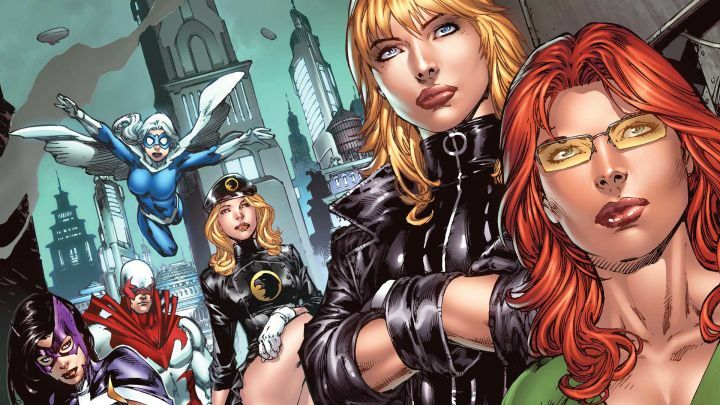 Like most super-teams in the DCU, the Birds of Prey lineup is usually in flux. But there are a handful of characters who have shaped and defined the team over the past two decades. Oracle/Batgirl – A founding member, Barbara Gordon serves as the technical support/computer expert of the team. Since recovering from her paralysis (caused by being shot by Joker in 1986’s Batman: The Killing Joke), she’s also returned to active duty as Batgirl. Black Canary – The other founding member, Dinah Lance combines martial arts expertise with a powerful sonic scream. The Huntress – The third member of the main Birds of Prey trinity, Huntress is a skilled fighter and crossbow user. Lady Blackhawk – Zinda Blake is a time-displaced member of the WWII-era team known as the Blackhawks. Big Barda – A former member of Darkseid’s Female Furies, Barda would rather use her incredible strength to defend the people of Earth. The Birds of Prey lineup has expanded quite a bit over the years. Misfit – This teenage teleporter is the youngest Bird of Prey, but she eventually formed a strong bond with her idol, Barbara Gordon. Hawk & Dove – These two heroes are the avatars of war and peace, with Hawk being one of the few male heroes invited to join the team. Katana – This tortured assassin wields a blade called Soultaker that supposedly houses the soul of her late husband. Poison Ivy – One of Batman’s most powerful enemies (and occasional allies), Pamela Isley can control plant life and hypnotize others. Manhunter – A federal prosecutor by day, at night Kate Spencer wages war on criminals who can’t be brought down through legal means. The Birds of Prey were created by Jordan B. Gorfinkel and Chuck Dixon. 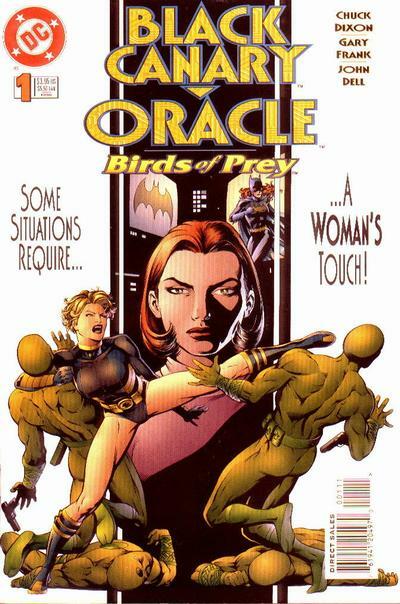 The team first debuted in a 1995 comic called Black Canary/Oracle: Birds of Prey #1. Initially, the team consisted of just those two members. However, when writer Gail Simone took over the series with Birds of Prey #56 in 2003, she added Huntress to the roster and completed what’s now considered to be the classic Birds of Prey lineup. The team has undergone many changes in the years since, gaining and losing members and even changing headquarters several times. The Birds of Prey have shifted operations from Gotham to Metropolis to Platinum Flatts and back to Gotham. The most significant evolution came with DC’s New 52 relaunch in 2011. The team was re-imagined as a sort of covert ops strike force with Black Canary in the lead and characters like Katana and Poison Ivy in prominent roles. That revamp met with a mixed reception from fans, resulting in another relaunch with DC Rebirth in 2016 that featured a more traditional take on the team. 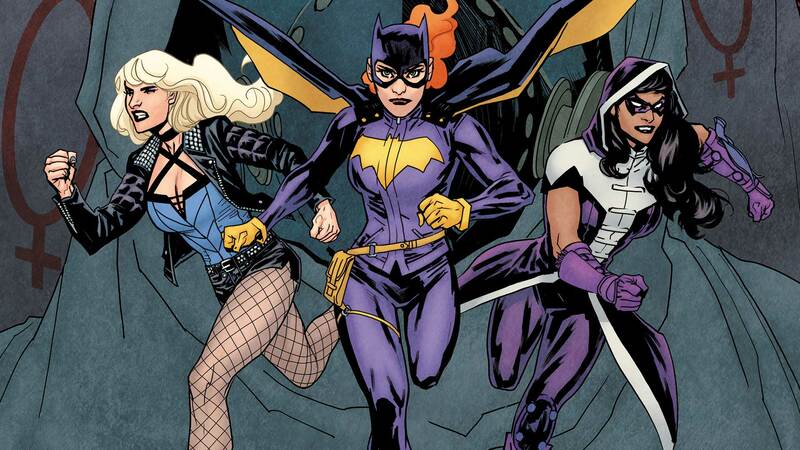 With the current series Batgirl and the Birds of Prey, the team roster has reverted to the classic Batgirl/Black Canary/Huntress dynamic. DC Rebirth brought the team back to basics. Despite the fact that Harley Quinn is expected to be a prominent character in the Birds of Prey movie, she doesn’t have a strong connection to the team in the comics. Harley is more traditionally involved with the Suicide Squad or the Gotham City Sirens (sort of an anti-Birds of Prey that also includes Poison Ivy and Catwoman). Harley actually fought against the Birds of Prey when she was briefly recruited by a supervillain team called the Secret Six. The Birds of Prey franchise inspired a live-action TV series in 2002, one that featured Ashley Scott as Huntress (re-imagined here as the super-powered daughter of Batman and Catwoman), Dina Meyer as Oracle and Rachel Skarsten as Black Canary. Set in the aftermath of Catwoman’s murder and Batman’s disappearance, the series explored the fledgling team’s efforts to defend Gotham City from Harley Quinn (Mia Sara). Birds of Prey received a generally negative critical response and was canceled after one 13-episode season. The Birds of Prey have also been featured in some of DC’s animated series, including the Justice League Unlimited episode “Double Date” and the Batman: The Brave and the Bold episode “The Mask of Matches Malone” (both of which were written by Gail Simone). The team was also loosely referenced in the Arrow episode “Birds of Prey,” though that episode revolves around sisters Laurel Lance (Katie Cassidy) and Sara Lance (Caity Lotz) teaming up to stop Huntress (Jessica De Gouw) from murdering her crime lord father. The Birds of Prey will be making their first trip to the big screen soon. Recently Variety reported that Cathy Yan has been tapped to direct a Harley Quinn-focused Birds of Prey movie, with a screenplay from Christina Hodson. Margot Robbie is expected to reprise her role from Suicide Squad, while production will likely begin in late 2018 or early 2019.